District attorneys wield nearly unfettered discretion as to whether to prosecute potential defendants, but nothing in the law prevents lawyers for the accused from donating to a district attorney’s election campaign. Most New Yorkers became aware of this glaring blindspot in the state’s campaign finance law in 2017, following news that Manhattan District Attorney Cy Vance’s campaign had accepted thousands of dollars from an attorney for Harvey Weinstein, the disgraced Hollywood mogul who Vance’s office had declined to prosecute after he allegedly groped a woman and was caught on tape seemingly admitting to the act. But the state Legislature could soon make sweeping changes to the rules governing district attorney campaign financing, as Assemblymember Dan Quart and Senator Liz Krueger, both Manhattan Democrats, are pursuing legislation to enact stringent restrictions on who can contribute, and how much, to candidates running for district attorney, of which there are 62, one for each county, across the state. “Reforming of our campaign finance laws with respect to how district attorneys and candidates for district attorneys run is critical,” Quart said in a phone interview, “so that the public gets confidence that decisions made by district attorneys are on the merits and free of any conflicts.” Quart is rumored to be considering a run for Manhattan DA in 2021. The proposed legislation would require that all district attorney candidates disclose to the state Board of Elections whether they have accepted campaign contributions from a law firm or an attorney at that law firm representing a criminal defendant in any New York state court. The bill would also mandate that the BOE create a statewide “legal dealings database” with the names of every licensed attorney, law firm or a firm executive who represents an individual or corporation in a criminal proceeding in any state court. The individuals and firms in the database would be restricted to donating only $320 to any district attorney candidate. Spokespeople for Assembly Speaker Carl Heastie and Senate Majority Leader Andrea Stewart-Cousins did not respond to requests for comment about support for district attorney campaign finance reform. Hazel Crampton-Hays, a spokesperson for Governor Andrew Cuomo, said in a statement, "The Governor has put forward a comprehensive ethics package in the Executive Budget and we will review any additional legislation if it passes both houses." The proposal was first introduced by Quart in October 2017, shortly after Vance, a Democrat, requested an external, independent review of his campaign finances to rebut allegations that his office gave favorable treatment to Weinstein and other wealthy actual or potential defendants, including Ivanka Trump and Donald Trump Jr., whose lawyers gave to this campaign and who Vance’s office declined to prosecute for alleged criminal fraud in the sale of condos in the Trump SoHo hotel development. The review was conducted by the Center for the Advancement of Public Integrity at Columbia University, which issued seven recommendations for district attorney candidates to prevent real and perceived conflicts of interest or unconscious bias by prosecutors. They include blind fundraising (so candidates are not aware of donor identities), refusing or limiting contributions from donors with real or perceived conflicts, a strict firewall between a DA’s office and campaign, refusing contributions from one’s own office staff and their spouses, strong donor vetting processes, requiring certifications of eligibility to contribute, and published campaign contribution policies. Quart and Krueger’s bill would establish some of those firewalls. Quart’s legal dealings database is modelled on New York City’s own “doing business” database that logs companies and individuals who have contracts with the city and limits how much they can contribute to candidates in local elections. The $320 limit applies to candidates for borough president, whose districts are equivalent to the jurisdiction of a district attorney in the city. “I took those rules and that principle and applied it to district attorneys’ races,” Quart said. The proposal would apply statewide. So, for instance, a law firm representing a defendant in Suffolk County wouldn’t be able to give more than $320 to a candidate running for Brooklyn District Attorney. The bill doesn’t cover all of CAPI’s recommendations, however. Berit Berger, executive director of CAPI, said the legislation is a “good start” but could go further. “The legislation does not require district attorneys to adopt blinding procedures that shield them from learning their donors’ identities,” she pointed out, in an email to Gotham Gazette. Blinding standards are currently used by candidates running for judicial seats in New York. It’s unclear if the bill will be supported or opposed by the District Attorneys Association of New York. Morgan Bitton, a DAASNY spokesperson, said the association is reviewing the proposal and that its legislative committee is set to meet later this month. Whether Vance decides to seek reelection or not, the 2021 race could be a crowded one. 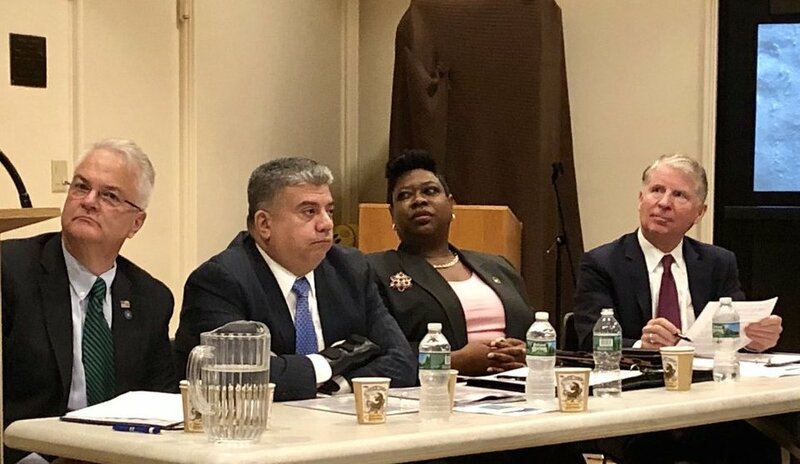 This year, with no incumbent running, the race to be the next Queens District Attorney features more than half a dozen Democratic hopefuls, while races in the Bronx and on Staten Island with incumbents running again have sparse fields. For his part, Vance, a former DAASNY president himself, supports Quart’s proposal. “As DA Vance said last year when he announced the most restrictive voluntary campaign finance limits of any elected prosecutor in New York, ‘legislative action is the surest way to achieve lasting, mandatory campaign finance reform,’” said a spokesperson for his campaign, who also noted Vance’s support for a public matching funds program for DA candidates, which is not part of the Quart-Krueger legislation, but could potentially be included in any broader public campaign finance system that Democrats in Albany hope to pass this year. Assemblymember Tom Abinanti, a Democrat, has reintroduced a bill this year that would establish such a public financing system for candidates for district attorney and supreme court justices. 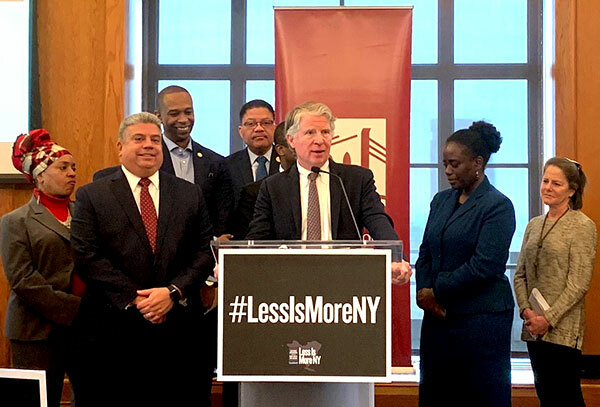 But the Vance spokesperson did say the Legislature should consider the feasibility of the legal dealings database proposal, which would be far more vast than New York City’s doing business portal. “As Columbia’s report notes with regard to the City database, ‘the class of individuals subject to Doing Business restrictions in New York City is relatively small, and is limited to senior company executives, major stakeholders, and registered lobbyists’ – as opposed to the vast and fluid population of lawyers who represent criminal defendants in New York State,” the spokesperson said. Note - This article has been updated to note that Assemblymember Tom Abinanti reintroduced a bill on public financing for district attorneys and supreme court judges. Americans are rightfully worried about the confidentiality of their electronic information, from financial documents and medical records to simpler things like texts and emails. That fear is confirmed every time a major company or government agency has its system breached. But DA Vance, along with President Trump’s Attorney General, Jeff Sessions, wants unfettered access to the data and information stored on our smartphones by forcing manufacturers to weaken the privacy protection technologies they’ve created and to install so-called “backdoors” into the devices. What they want is the ability to bypass the encryption technology that allows only the sender and the recipient of a message - like a text - to see it. They argue that these backdoors will help law enforcement solve certain crimes, but the reality is the very small percentage of cases that could be helped is far eclipsed by the danger of weakening encryption for the rest of us. They describe these backdoors as small, but in truth they are a wide-open front door for a hacker or foreign government to gain access to almost any smart phone in America. Vance and Sessions are naive if they believe that once a technology is created, only “good guys” will use it. Rogue hackers or hostile foreign governments will use the same tactics. Vance and Sessions must look for real solutions that protect our privacy and do not involve undermining the security of our data. Dan Quart is a member of the New York State Assembly representing Manhattan’s East Side. On Twitter @AMDanQuart. For the past four months, the people of Manhattan have grappled with accusations of their District Attorney cultivating a pay-to-play culture in which the rich and powerful skate by serious criminal charges -- if their lawyers contribute sizable donations to DA Vance’s campaign. In a public display of penance for allowing the appearance of corruption to permeate, Vance requested The Center for the Advancement of Public Integrity at Columbia Law School to investigate ways to better insulate our elected prosecutors from the influence of donors. The CAPI recommendations make for a good headline after months of bad PR for the DA, but will not change the status quo. Following the report, Vance said he will adopt the ‘blind’ practice used for judicial candidates who are raising money for their campaigns. Unfortunately the failings of this model are widely known, and are surely no secret to Vance himself. It follows a legal fiction that removing the DA from the fundraising eliminates the potential conflict. That is absurd. It is pure fantasy to suggest a candidate will have no knowledge of who is donating to their campaign. Full transparency is an ideal all elected officials should be striving for in our electoral system, especially when it comes to the funding of campaigns. That is why the records of who has donated to candidates are fully public, easily obtained by the click of a button. There’s no ‘blind’ approach to raising money when the names, addresses and amount of money donated are so easily accessed by the public, press, campaign, and candidates. Especially for a DA like Cy Vance who has been in office for almost a decade and has built a donor list based on strong relationships with certain criminal defense lawyers and law firms. Then we come to the donor cap recommendations -- riddled with far too many loopholes. By restricting the $320 donation cap to only attorneys appearing before the DA office, the policy is extremely limited, allowing many other non-appearing attorneys from the same law firm to donate individually up to $3,850. Undoubtedly, high-profile wins for firms are good for business. Perhaps that’s why Marc Kasowitz, Trump’s personal lawyer, had his coworkers raise over $18,000 for Vance just a few months after the DA chose not to prosecute the Trump children. Under the CAPI recommendations, this could continue to happen. In fact, under Vance’s new self-imposed fundraising rules, he would only have to wait six months after a case is resolved to accept donations from the exact lawyers who appeared before his office. Even with the cap from partners and some lawyers, there are a multitude of ways that law firms with an attorney or attorneys who appear before the DA office can donate significant amounts of money to the DA. It will just take some creativity. This permits the existence of the conflict that CAPI admits exists -- attorneys donate to create "positive relationships" with the DA's office, "which, could, in theory inspire some of them to become contributors to the DA's campaign." An understatement to say the least. The CAPI recommendations represent an incomplete addition to the conversation of reforming the way we fund our DA races, something the report acknowledges. This report should not signal the tidy conclusion of how the rich and powerful were seemingly able to curry favorable treatment through campaign donations by their lawyers. 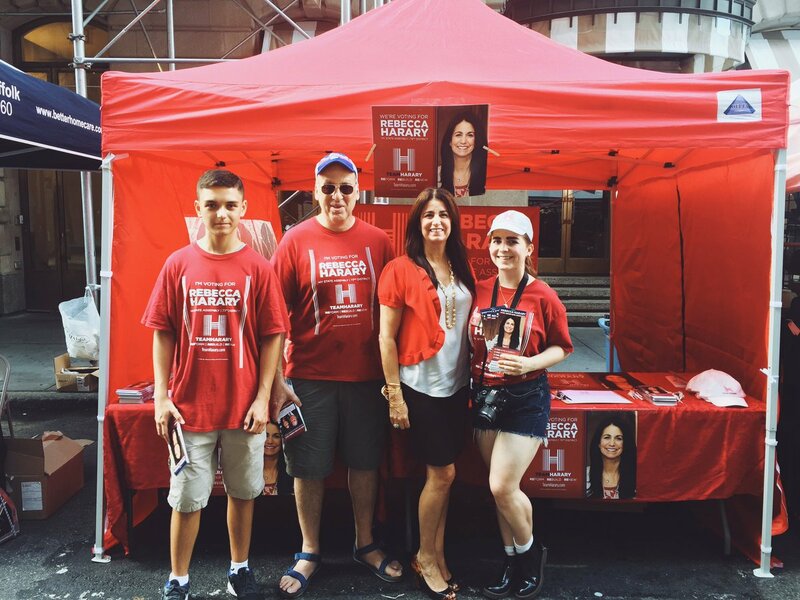 We need true comprehensive reform to make our system one New Yorkers can confidently rely on. I have legislation that will bring us one step closer to this by forbidding large donations to DAs from criminal defense lawyers or their law firms. Let’s get this passed and move toward a fairer system for all.